Obafemi Awolowo University, OAU cut off mark for 2019/2020 is out online. 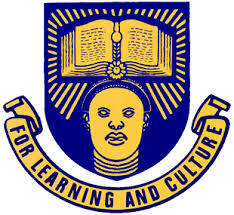 OAU Pre-Degree Admission Cut off Marks 2019/2020 and Departmental Cut off Point. Can I study Law having 232 as my jamb score? Pls when would the admission list be released? Please i had 219 in jamb and i want to study accounting. My o’level result is okay, please can i be admitted. Pls I scored 211 in jamb , wanting to study architecture in oau but my cut off is 229 should I do a change of course or change of institution/course . instead should I just wait for the post utme test/screening. This is my no in case u have advise 08118544380 . pls my time is running out, thanks. emm actually had 276 in jamb n i applied for law buh im seeing 291 as thhe cut off mark like…wats going on? Any hope for me? I scored 249 to study English language. God is d only 1 i hope on, oau is my dream nd it must come through wit jesus christ on my side.i scored 226 in utme nd i am going 4 law. pls I want to study architecture in OAU my jamb score is 267 but my o level result is poor of c’s c5 and c6 pls any advice on wat to pls I need an urgent reply as u do so may God bless u,thanks to u as u reply. pls I want to study architecture my jamb score is 267 but my o level result is poor of c’s c5 and c6 pls any advice on wat to pls I need an urgent reply as u do so may God bless u,thanks to u as u reply. Please is it possible to study English with 229 in OAU? I score 236 in jamb and want to study nursing at oau, what is the cutoff mark for ekiti as catchment area in nursing . Plz wat’s d cut off mark for SLT in OAU? I had 215 in my utme,and my choice is medicine at oau,do i need to change my course choice to get admission,advice me,if yes,how do i go about it ? Pls i scored 241 in my jamb and 7’bs,2’cs in my waec. Can i study Civil Engineering in OAU…. I gat 227 in jamb with two sittings result,can I still study Psychology? I scored 274 in JAMB can i study law in oau? u know d answer 2 dat question already and u’re still asking. How will sum1 wit dat score get admitted 2 chem engr, when there are lots of quaified pple dat applied for it also. pls u guys should stop asking questn dat are irrelevant n dat u know d answer already. well no hard feelings n sorry for d way i spoke. D ANSWER IS NO.n u can change 2 a state uni . Pls wat is d cut-off mark 4 Anatomy & Cell Biology? I scored 280 in my JAMB but i had C’s in my SSCE result, can I be admitted to study medicine in OAU? I scored 230 in jamb. Will I be admited as a law student? And what is the cutoff mark for law? Is there no cut off mark for civil engineering course? My score is 215 I want to study Accounting…. Any Hope? Pls what are the waec subjects needed for international relations in oauife? I scored 241 in jamb. pls is architecture a competitive course in OAU? I want to study dramatic art in oau but I scored 187 can still get admission cause this my first time of doing it. This is my first time of applying for OAU and I’m studying Botany. i believe dat dis year is my year..ife,here i come. 220 – electrical engineering, do I still have a chance, what do I do? Can i do a change of course? The God I serve will help me to gain admission to this great citadel of learning ijn. The God of isokan(unification) will not disappoint me. thank you v.much….i lyk dat ? I’m sorry please but that cutoff,is it your jamb score or the combination of both o’level and jamb(calculated)? Wow thanks very much.. How do we get the info when the screening is on? Am going to be one of the Great IFe students this year,I Pray……. please, how do they calculate their scores. what are the procedure of school of nurse in obafemi awolowo university? what is the cut off mark for medicine and surgery? Its my first time choosing oau..